Photo: Courtesy Of Jennie Kwon Designs. We love a good statement necklace, but we aren’t about to forget the appeal of pretty, dainty jewelry. For the days we’re more pared down, a sophisticated set of studs there and an understated band here will do. But, sometimes we want our small pieces to pack more of a punch, so for spring, we are pulling it all out. Call it this year’s version of the “arm party.” Even if your collection of lovely little things is small, they’re easy enough — and addictive — to accrue no matter what your style. 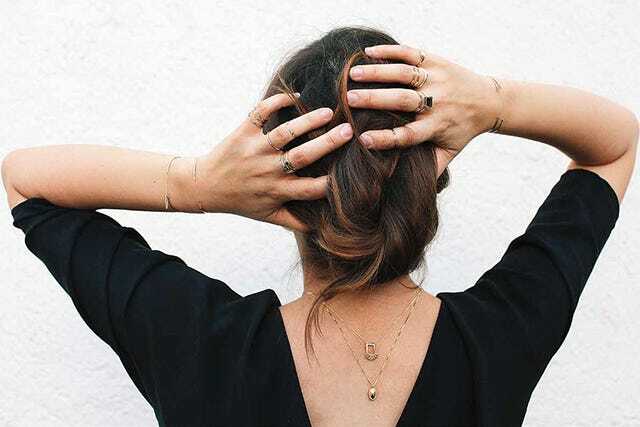 Teen Vogue recently revealed its favorite small-piece-jewelry makers along with its favorite ways to style them. Retailers include celebrity-fave Catbird, Bare Collection for basic layering pieces, and Erica Weiner for her updated classics, just to name a few. As for how to put them all together? There really is no wrong way. Silver and gold mix well, rings and bracelets should definitely stack — bonus points if one of your rings is connected to your bracelet — and a single necklace keeps things looking fresh and understated.